DS3 Interior, Sat Nav, Dashboard | What Car? You sit a long way back from the windscreen, so it can feel like you're driving a small MPV. The pedals are offset, too, which makes the driving position feel slightly awkward. At least the steering wheel adjusts for reach and height on all models, so it doesn’t take long to get comfortable. The front seats are supportive, although some may find the heavily bolstered sports seats of some models restrictive. In the main the dashboard layout is pretty user-friendly, but the central digital readout can be hard to decipher at a glance and the stereo is unhelpfully low on the centre console. Forward visibility is compromised slightly by the DS 3’s thick, steeply sloping windscreen pillars, and it’s not helped by the fact that you sit a long way back from the windscreen. The side and rear windows are on the small side, meaning that over-the-shoulder and rear visibility could be better, but overall visibility is fine. Heated door mirrors and automatic headlights and wipers are standard for the higher-spec trim levels and relatively affordable options for the two cheapest trims. Front and/or rear parking sensors are standard or optional, depending on the trim, as is a reversing camera. 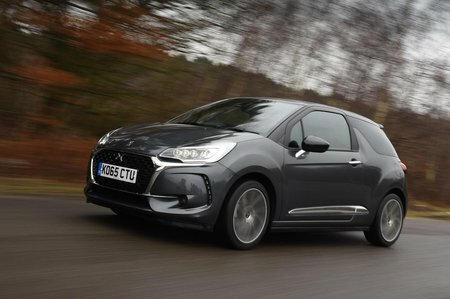 All versions of the DS 3 come with a 7.0in touchscreen infotainment system, which, compared with the Mini’s iDrive or Audi A1’s MMI system, is slow and clunky to use. It does come as standard with a DAB radio, Bluetooth and auxiliary and USB input sockets. On all versions apart from the entry-level Chic, you also get Apple CarPlay and Android Auto interfaces, so you can use your smartphone’s apps through the car’s screen. Satellite navigation is standard on all but the Chic trim and Performance model. All models have steering column-mounted audio controls – they are a blessing, since the stereo has small, fiddly buttons and is mounted low on the centre console. The information display above it is also on the small side and has a rather dated appearance. 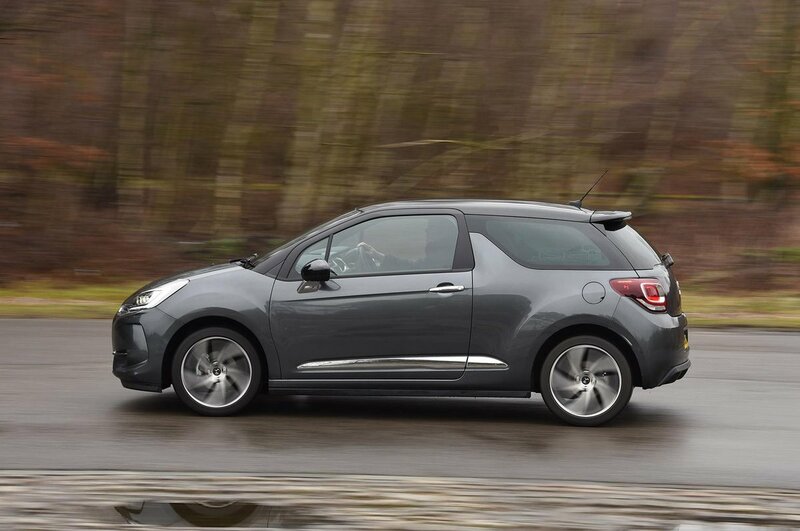 DS is Citroen’s premium brand, and the DS 3 does enough to justify that status. An imaginatively styled dashboard with chrome-rimmed dials and colour-coded panels gives the DS 3's cabin real panache, and the interior quality is a cut above the C3 it’s based on, with plusher materials and more appealing finishes. 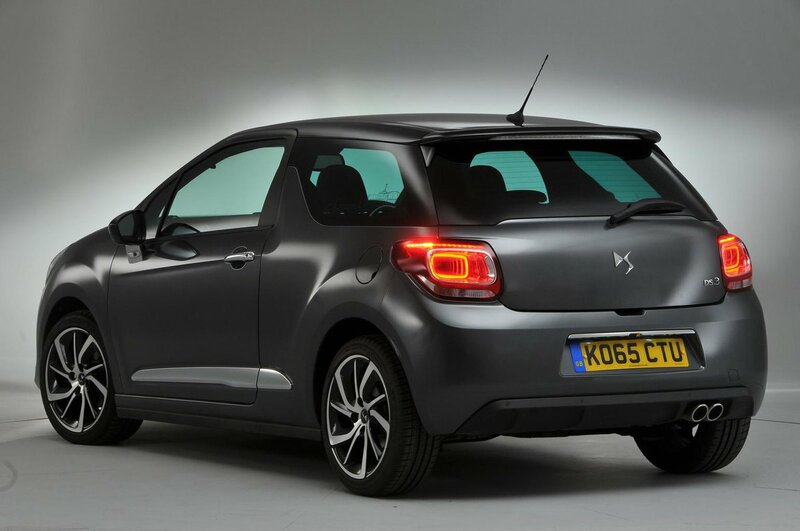 Inevitably, some of the switchgear and more functional parts are shared with Citroen’s mainstream models, and as a result the DS 3’s cabin doesn’t have the bespoke feel that a Mini’s does.